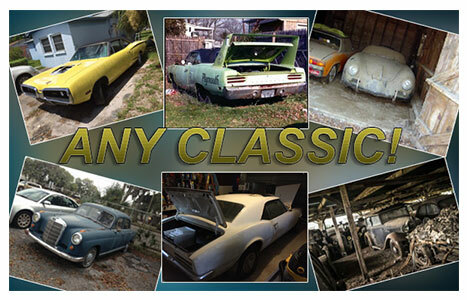 We Buy Classic - Antique - Collectible Cars ANY CLASSIC CAR • ANY CONDITION • ANYTIME! 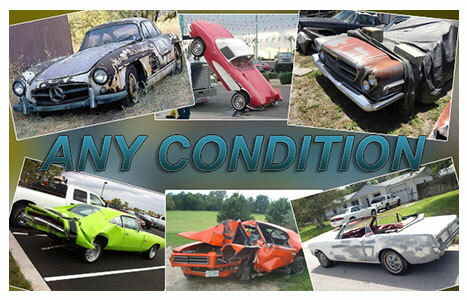 Any type of vehicle in any condition, title or not, pristine / concourse condition, or rusty "barn find" condition. We’ll buy it! Whether it’s an old American muscle car, european sports car, a Hot Rod, an old truck, or whatever! if its got value, we want it! Quick cash for your classic / antique / collectible. 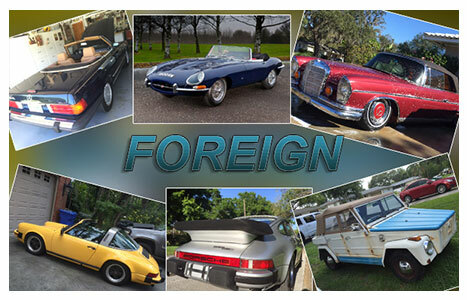 Any type of classic or antique vehicle in any condition. No Title? NO PROBLEM! We buy parts cars too! We Also Buy and remove Vehicles Nationwide! Rest assured, you can rely on our Florida based classic, antique and collectible buying firm to offer hassle free services to our clients. 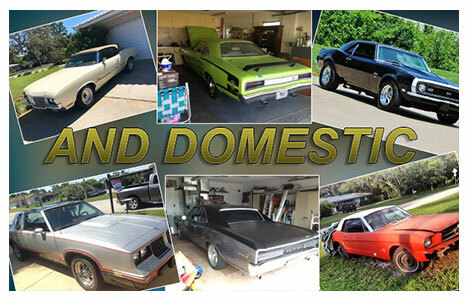 Expect a quick cash (or check) transaction from Florida Classic Car Buyers! Our agents are fast and friendly and are more than capable and experienced to both buy and remove your vehicle. Free quotes and free removal on everything we buy! 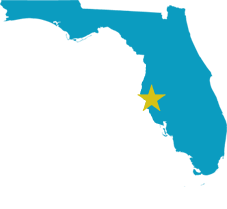 Absolutely no hidden fees! Call, Text or email with information about your vehicle including make, model, year, mileage, engine type and condition. The more details the better! We will have a purchasing agent get in touch with you to find out more about your vehicle, If Interested, we will arrange an in-person appointment to view your vehicle. One of our agents will arrive to inspect the vehicle and finalize the transaction. And dont worry, after Our Agents settle payment with you, They will handle all the paperwork and vehicle removal, It really is that easy! The guys came out and viewed the car, they were very polite, very knowledgeable and professional. We agreed on a very good number, they paid me and drove it away. Highly satisfied. I've been a car collector all of my life, and as I've gotten older I've accumulated too many projects to handle at once, which forced me to sell my 300SE Cabriolet Mercedes. The gentlemen came to my shop with cash in hand and gave me what I asked for despite all of the issues with the car. It was hard to let the car go, but the boys made the transaction easy and I do not regret selling it to them, thank you very much and good luck. Had a project Mustang that has been sitting for years and needed a restoration job, Called Florida classic car buyers, told them what I had, texted them some photos, they made an offer and I accepted. Easy as that! Thanks guys.